Barge cruising in Burgundy! 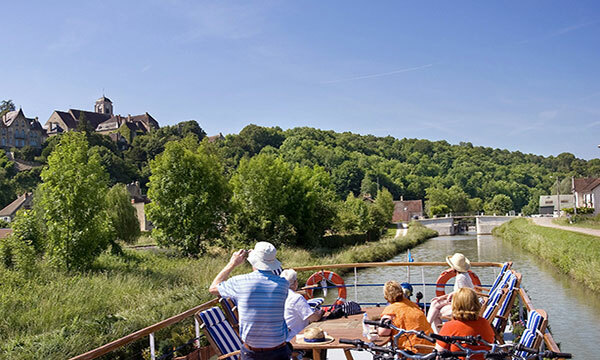 Scenic floating, wine-tasting, bicycling, sightseeing and the beauty of one of France’s top barge cruising region. Known as a region of great cultural import and historical interest, and celebrated for its abundant vineyards, natural beauty, and relaxed lifestyles, Northern Burgundy appeals to those who wish to sample a wide variety of enduring experiences and erudite excursions. Within this extraordinarily enchanting setting, a number of historical treasures bear witness to the area’s influence over the centuries. From the preserved towns to the religious relics, the Renaissance châteaux to the medieval castles, the relentless sweep of time seems to have stood still, patiently awaiting a reverential rediscovery. Explore the historic, cobblestoned streets of Auxerre. Bask in beautiful vineyards and sample iconic vintages wine-tasting in the renowned Chablis wine region! Visit the charming 14th century medieval market village of Noyers, one of the most beautiful villages in France. Vézelay, one of Burgundy’s most famous treasures with the Romanesque Basilica of St Mary Magdalene. The Chateau of Bazoches, built in the 12th Century and whose illustrious visitors included Richard the Lionheart. 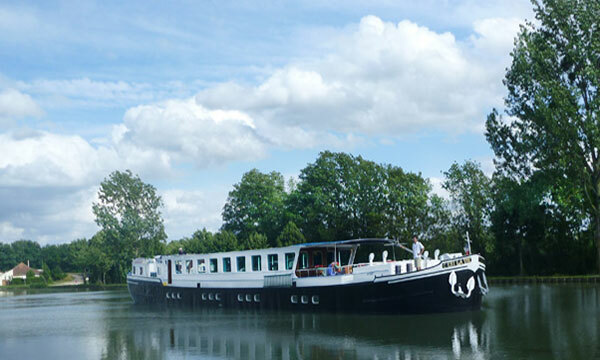 Barges cruise along 2 rustic canals in Northern Burgundy, the Canal de Bourgogne and the Canal du Nivernais. Construction on the Canal de Bourgogne was completed in 1832, and was considered to be an engineering triumph due to the later additions of tunnels and lock enlargements. The Canal de Bourgogne cruises through bucolic scenery, charming villages, and rambling vineyards. The Canal du Nivernais began construction in 1784 and was interrupted by the Revolution, thus finally opening in 1841. Northern Burgundy is great for guests who like to sample a wide variety of experiences and excursions. The canals are lined with colorful villages with ample bicycling and walking opportunities. 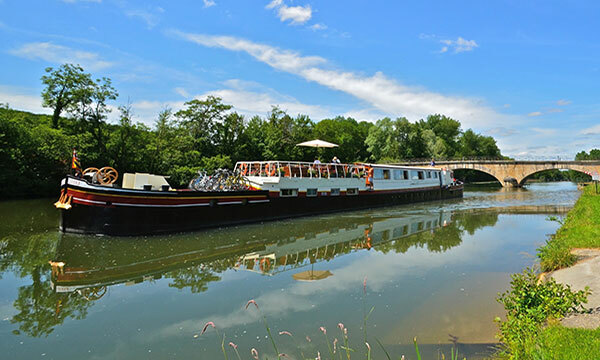 A 2-3 hour drive south of Paris, our Northern Burgundy barges provide chauffeured transfers to and from, so these are among the easiest barge routes to reach. We recommend combining a cruise in Burgundy with additional time in Paris, making these barge trips ideal for travelers planning a trip of eight to nine days.